In March 2007, the German Bundeswehr contracted Rheinmetall Air Defence to develop the NBS C-RAM close-range protection system. 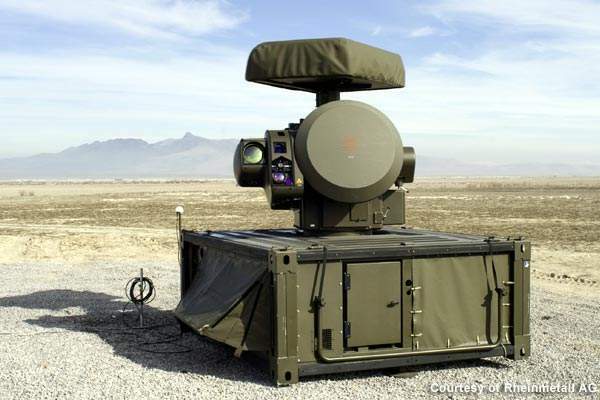 The AHEAD technology enables the air defence gun's capability to track and destroy the aerial targets. The NBS MANTIS is equipped with six 35mm automatic guns, two sensor units and a ground control unit. The sensor system comprises of radar, effectors and electro-optical sensors installed on the base perimeter. NBS MANTIS air defence protection system has been developed for protecting the forward-operating bases of the German Army in Afghanistan. Nächstbereichschutzsystem (NBS) MANTIS is a very short-range air defence protection system developed for protecting the forward-operating bases of the German Army in Afghanistan. Formerly known as NBS C-RAM (counter-rocket, artillery and mortar), the 35mm fully automated air defence system has been developed by Rheinmetall Air Defence (Rheinmetall) for the German Bundeswehr. The NBS MANTIS short-range force protection system will detect, track and shoot the projectiles within a close range of the target base. The German Army will be the first military in the world to possess such defence against aerial threats. The MANTIS represents an important part of the Bundeswehr army’s comprehensive future SysFla air-defence programme. In May 2009, the German Government ordered two NBS systems for Bundeswehr from Rheinmetall. The value of the contract is €110.8m. Rheinmetall also has an option for documentation and training services of about €20m. The company will also supply the ammunition for the protection systems under a follow-on contract worth around €13.4m. The delivery of the NBS MANTIS systems to the German Army was in 2011 and further batches are also being planned. The Bundeswehr did not have weapon systems to tackle the intercepting small incoming projectiles. 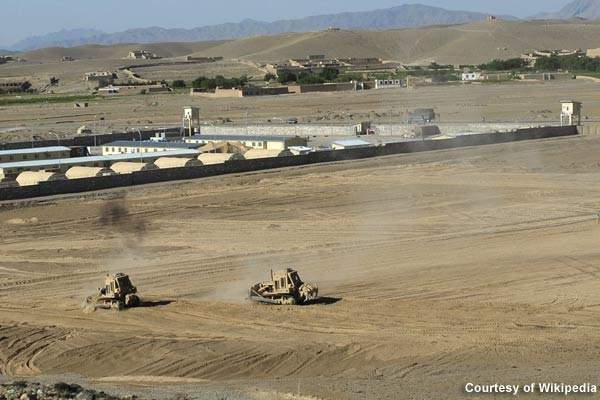 The army bases in Masar-I-Sharif and Kunduz were under several attacks by insurgents. In March 2007, the German Bundeswehr contracted Rheinmetall Air Defence (formerly Oerlikon Contraves) to develop the NBS C-RAM close-range protection system. The value of the development contract was €48m. "The 35mm fully automated air defence system has been developed for the German Bundeswehr." The NBS MANTIS system is based on the Skyshield air defence gun system of Rheinmetall. The Skyshield is a modular ground-based short range air defence system (SHORAD) designed with automated and flexible features, and is easily transportable. The NBS MANTIS was developed in 12 months on behalf of the German Federal Office of Defence Technology and Procurement. It was successfully live fire tested in real-time operating conditions in Turkey in summer 2008. 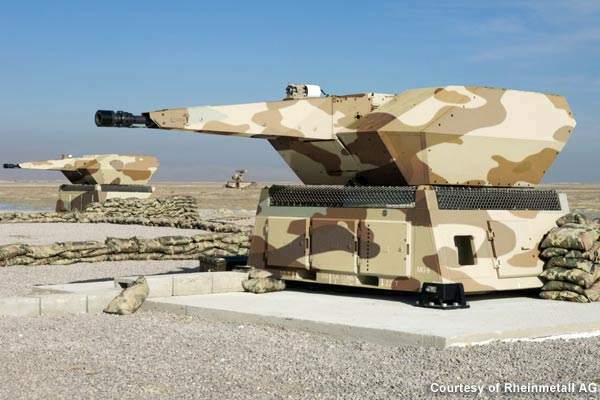 The Nächstbereichschutzsystem MANTIS is specifically designed to defend the forward-operating bases and protect other vulnerable military installations from rocket, artillery and mortar attacks. The first fully functional NBS unit is expected to be ready by the first quarter of 2010 after completion of the development work. One of the MANTIS systems will be delivered to the German Army at the end of 2010. It will be deployed in the bases of Afghanistan in 2011. Germany will use the second system to train the maintenance staff on the system operations. The NBS MANTIS is equipped with six 35mm automatic guns, two sensor units and a central command ground-control unit. "The German Government has ordered two NBS systems from Rheinmetall." The sensor system comprises of radar, effectors and electro-optical sensors installed on the base perimeter. The MANTIS protection system is totally automated and operates 24/7. A radar sensor in the control system recognises missiles fired onto a base from about 3km. The automatic process enables the guns to fire on the threat instantly in the calculated flight path. The guns are capable of firing 1,000 rounds per minute. 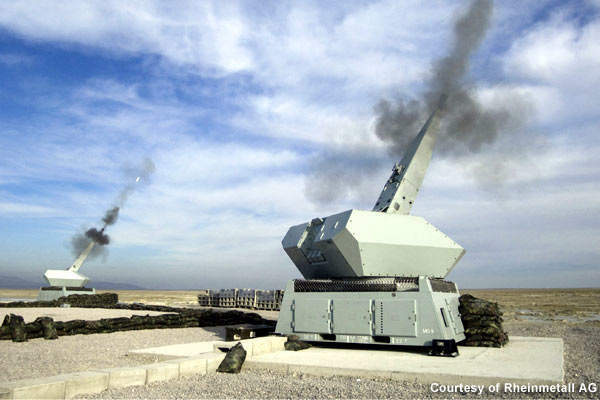 The firing of the guns is based on mission-specific programmable and air burst advanced hit efficiency and destruction (AHEAD) ammunition, a technology developed by Rheinmetall Weapons and Munitions, formerly Oerlikon Contraves Pyrotec. The ammunition has a payload of 152 tungsten projectiles, weighing 3.3g each. 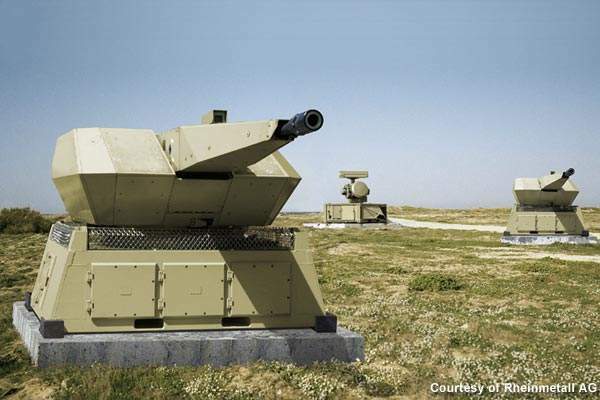 The AHEAD technology enables the air defence gun’s capability to track and destroy the aerial targets. The MANTIS gun fires 24 round burst, high-velocity AHEAD rounds at the target’s intercept point. "The firing of the guns is based on mission-specific programmable and air burst AHEAD ammunition." The projectiles from the gun are programmed through a muzzle-based electromagnetic inductor. The technology activates and separates the projectiles into 152 heavy tungsten metal spin-stabilised sub-projectiles as per an electronic timer. The sub-projectiles of 3.3g each form a lethal cone-shaped metal cloud in the flight path of the incoming target. The response time for the system to detect and fire the target is expected to be 4.5 seconds. MANTIS’ control system is also capable of tracking the location of the assailants along with the flight path and point of impact. The high-performance 35mm revolver gun with AHEAD air-burst ammunition can also be integrated in several air defence systems, including the Skyshield. The guns have been employed in successful operations in NATO countries since 1996.